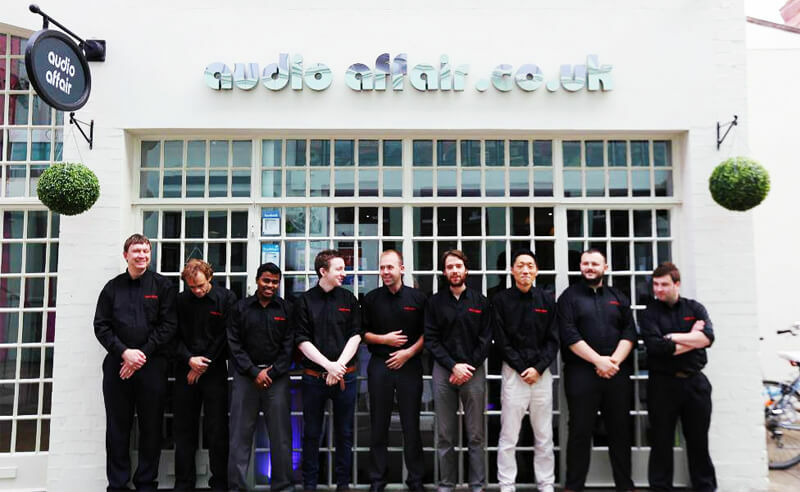 We are always looking for bright and enthusiastic individuals to join the team at Audio Affair or within one of our group businesses. If you love hi-fi and music or simply love music and an interest in gadgets, a job with us may be the answer! Despite our unassuming "boutique" shopfront, we have a strong team based in separate offices and are a leading eCommerce retailer in specialist audio. Apart from the above, our working environment is fun! We dress smart casual, we listen to music all day (at reasonable volumes in the office!) and we have a strong team bond, more like a family more than a working environment. New members to the team are welcome with open arms, providing you're willing to work hard, put in a team effort and you're a nice person! If we don't have a suitable current vacancy listed, we still may be interested in hearing from you if you're a strong individual and can bring something to the business. You should be an ambitious "go-getter" who is results focused, with experience in your chosen area (whether this be sales, customer services, marketing or otherwise) and a track record of meeting and exceeding challenging targets. You should also be extremely customer focused and willing to dedicate yourself to our goal of delighting customers with our customer service. If no vacancies are currently listed, you can still e-mail us with your CV and a note of what you think you can do for us to jobs (at) audioaffair.co.uk - please note due to high interest in working for us within the industry, we can only apply to candidates who are successful in securing an interview. If you'd like some valuable experience over the summer holiday, Easter holder or Christmas holiday, we'd like to hear from you! We have opportunities available in English, Graphic Design, Computer Science, Business Studies and Finance. You will be working on something of importance for the business, and more importantly, gaining significant experience for your CV working for a growing eCommerce business. If you're keen, ambitious and ready to do something real, please e-mail your CV to jobs (at) audioaffair.co.uk Don't forget to mention what area of the business interests you most, how you think you could help and the dates you are available.